In a not-so-classic tale of revenge, a giant python tried to take a chunk out of a man’s arm before he and some other villagers decided to kill the beastie and eat it. 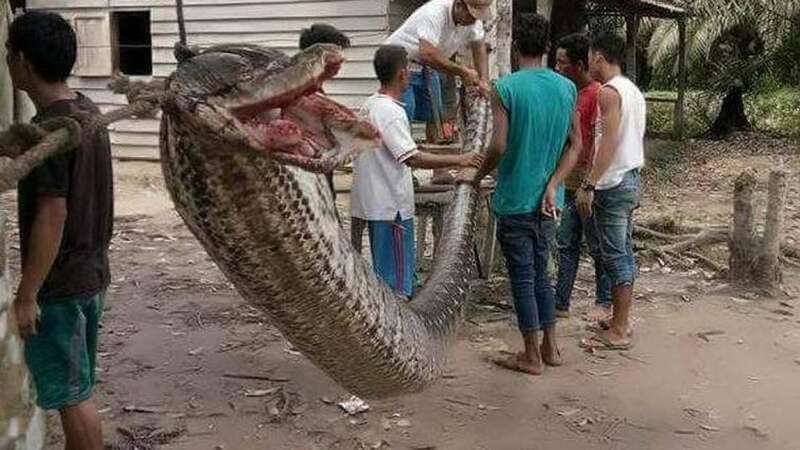 The slithery wannabe assassin, found on the Indonesian island of Sumatra, was measured to be 7 meters (23 feet) long – no small fry, that’s for sure. According to reports, the man in question was Robert Nababan, 37, who was driving around on his moped in Riau Province before coming across this snake, which happened to be blocking traffic. He stepped up to the plate, confronted the snake, and decided he had no choice but to physically force it off the road. It was at this point that the python – probably the Python reticulatus species – decided he didn’t like this forced relocation. It lashed out, bit the man’s arm, and coiled itself around him so he couldn’t escape. “We wrestled for a while,” he told reporters from his hospital bed. This, of course, makes this story one of the strangest cases of road rage in history. 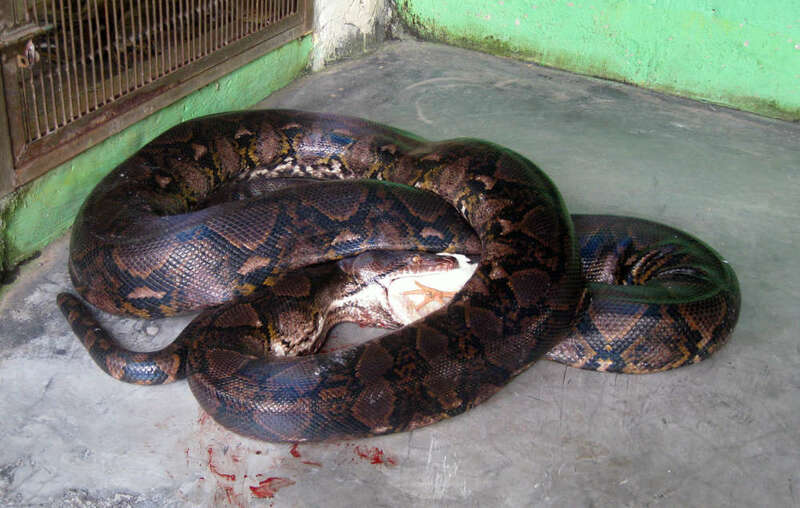 Ultimately, with the help of others, the python lost the fight. It was last seen in a backyard near the sight of the struggle, where it was consumed piece by piece by people with a penchant for vertebrate Parseltongue speakers. Make no mistake – these snakes can be incredibly dangerous. Their bite is difficult to shake loose, and if the man was on his own at the time, it may have been him that ended up being served up for dinner.